A health plan helps employees and their families tend to their essential medical needs. However employees and their families could lose this benefit without temporary group health coverage, Generally, employees who lose their jobs voluntarily or involuntarily or have a reduction in the hours worked have a right to temporarily extend their health insurance coverage. This temporary extension of health coverage known as COBRA continuation coverage avoids termination of your group health plan if you lose your job or your full time status. Is there a notification requirement in order for me to receive coverage? Who pays the premiums if I elect to continue the plan? Will I be eligible for coverage if I was fired? Will my family members or former spouse be eligible for coverage as well? How does HIPAA impact my coverage? Is Life Insurance covered under the continuation coverage? 1.What happens to my health insurance if I lose my job? One of the most devastating effects of job loss is the loss of medical insurance. A federal law, known as COBRA (Consolidated Omnibus Budget and Reconciliation Act) has provisions that assist some employees in temporarily continuing their health insurance coverage even after they lose their jobs. COBRA’s main provisions under current law are set out below. In order to be entitled to elect COBRA coverage, your group plan must be covered by COBRA; a qualifying event must occur; and you must be a qualified beneficiary for that event. To be covered, your employer must have 20 or more employees on more than 50 percent of its typical business days in the previous calendar year. This applies to both full time and part time employees however each part time employee counts for a fraction of a full time employee. If your employer employs fewer than 20 people, COBRA does not apply. However, many states have their own laws under which employers must allow terminated employees to continue medical insurance coverage. Even if your employer is not large enough to come under COBRA coverage, your employer may still employ enough people to be subject to state law requirements. Your state’s department of insurance can provide this information. Under COBRA, your employer must permit you to continue participation in its group health insurance plan with the same coverage you had before your termination or loss of hours for eighteen months after your employment ends, or until you become eligible (whether you sign up or not) to participate under another plan. The continued coverage will be at your cost. 2. Is there a notification requirement in order for me to receive coverage? Coverage is not automatic, you must have been enrolled in your employers health plan when you worked, and the health plan must continue to be in effect for active employees. You must elect coverage by notifying your employer that you want to continue, or “elect,” to remain in the plan. The law requires your employer to inform you of your right to elect this coverage within 44 days (if your employer is not the plan administrator, which is usually the case; otherwise, it’s 14 days if the employer is the plan administrator). You then have 60 days after receiving the employer’s notice to send something in writing to your employer stating that you want to continue coverage. Once you elect coverage through your employer, you will have 45 days to pay the premium. If you decide to waive coverage during the election period, you must be permitted to revoke your waiver of coverage and to elect to choose continuation coverage as long as you do so during the election period. To avoid a lapse in coverage, you should not wait for the notice from your employer. Elect to continue as soon as you can. If you don’t, your coverage may cease and the insurance company can refuse to pay your bills. Your only recourse will be to sue your employer for damages for not telling you about your right to elect this coverage. 3. Who pays the premiums if I elect to continue the plan? When you elect to continue under your employer’s plan, you, not your employer, pay the premiums, which can be over $500.00 per month for family coverage. In fact, your employer can require you to pay up to 102% of the premium. The 2% is for administration costs. You must send the premium to your employer, not the insurance company, every month or your coverage will lapse. When you send a written notice to your employer that you want to continue coverage, include a check for the first month’s premium, the amount of which can be obtained from personnel or your insurance company. Once your check has been cashed, your coverage is verified. If the company is taking the position that you are not entitled to coverage, the company must return the check to you. If you cannot get anyone to tell you what the premium should be, state the fact in the letter and specifically request this information. Take all the steps you can to get this coverage and document your efforts. It is even a good idea to send your election requests and check by certified mail so you will have proof that is was received. 4. Will I be eligible for coverage if I was fired? If you were fired for “gross misconduct,” you will not be eligible under COBRA. However, there is nothing to prevent you from negotiating for COBRA rights and notifying your employer in writing that you want to elect COBRA continuation. Since it won’t cost your employer anything, you may win this one. Although the risk of being denied continued insurance because of gross misconduct is very slight, you should be aware of this provision. 5. Will my family members or former spouse be eligible for coverage as well? COBRA requires continuation coverage to be offered to covered employees, their spouses and dependent children when group health coverage would have been lost. Even if you think you don’t need continuous coverage for yourself, your dependents are eligible for coverage independent of you until they become eligible under another plan. In such a case, your dependent or spouse must elect the coverage. If the premium for family coverage is too costly, but you can manage single coverage for a child or spouse who may need it, you can convert your existing policy to ensure their continued benefit. You must decide whether you can afford to continue coverage. If you anticipate significant medical care for yourself or your family throughout the year, continuation may be crucial. 6. How does HIPAA affect my coverage? The Health Insurance Portability and Accountability Act (HIPAA), effective July 1997, makes it easier for many employees with disabilities or preexisting medical conditions to obtain health insurance when they change jobs.  The law assures that an uninsured individual who seeks group health insurance will not be charged a higher premium than others in the group due to past or present medical problems. Furthermore, an individual may only be denied coverage for a preexisting condition for a maximum of twelve months. However, if an employee had continuous coverage prior to beginning a new job, and no more than 63 days had passed since the last date of coverage, the one year exclusion period for pre-existing conditions is reduced by the number of months that the employee previously had coverage. If the employee is entitled to COBRA continuation coverage because of a disability, as determined by the Social Security Act, the plan must provide coverage for 29 months. However the individual must be disabled at the time of termination of employment or reduction in hours of employment. HIPAA also establishes that if the employee who is entitled to the disability extension has non-disabled family members who are entitled to COBRA continuation coverage, then those non-disabled family members are also entitled to the 29 month disability extension. HIPAA assures employees of small businesses that a group will not be denied coverage due to one employee’s past or present medical conditions. The law also affects individuals leaving group for individual coverage. The amount of time one was previously covered will determine whether he will qualify for individual coverage regardless of past or present medical conditions. If you are changing jobs or insurance, be sure the new law is being applied to your plan, and be sure that you are receiving the appropriate benefits. 7. Is life insurance covered under the continuation coverage? Life insurance is not considered medical care therefore COBRA does not cover plans that provide only life insurance.